This year’s Victoria Beer Week will celebrate the event’s fifth anniversary. Spread over nine days and featuring 50 breweries across 13 separate events, the 2018 edition of VBW will run from March 2nd to 10th. Every year since 2014, brewers and thousands of beer lovers have united to celebrate the capital city, the province, and the craft beer industry that keeps evolving to produce the beers we just can’t seem to get enough of. Turning five years old is a big deal and VBW’s events for 2018 include some classic favourites, as well as some brand new ones, to mark the special occasion. Locally loved venues will host many of the events, showcasing vendors and artisans of both the food and drink varieties. Covering beer basics for those newly converted to craft beer, as well as more comprehensive events for faithful aficionados, VBW has something to offer everyone. A launch within a launch? You’ve got that right! 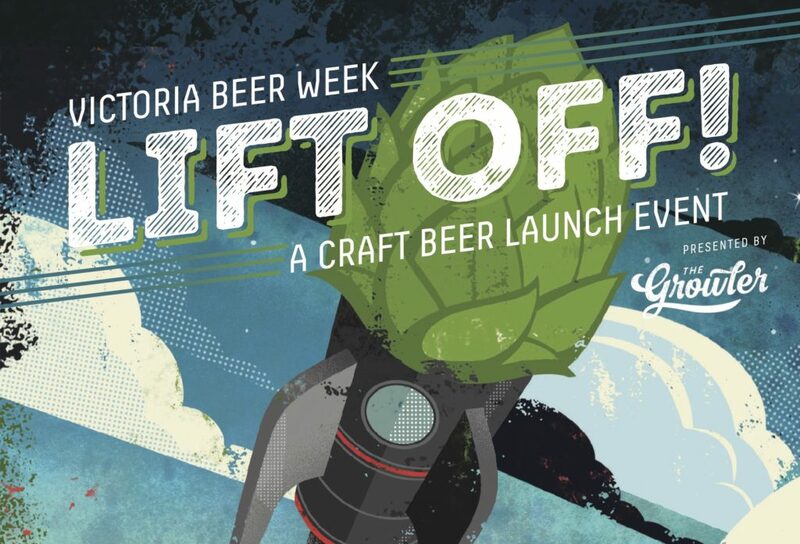 VBW kicks off on Friday, March 2 at 7:30pm in the Victoria Public Market with Lift Off!, a special beer launch event where brand new beers from some of BC’s best breweries will be served for the first time. Saturday is dedicated to foodies, with the Brewmasters Brunch starting at 11:00am at Swans Brewpub. 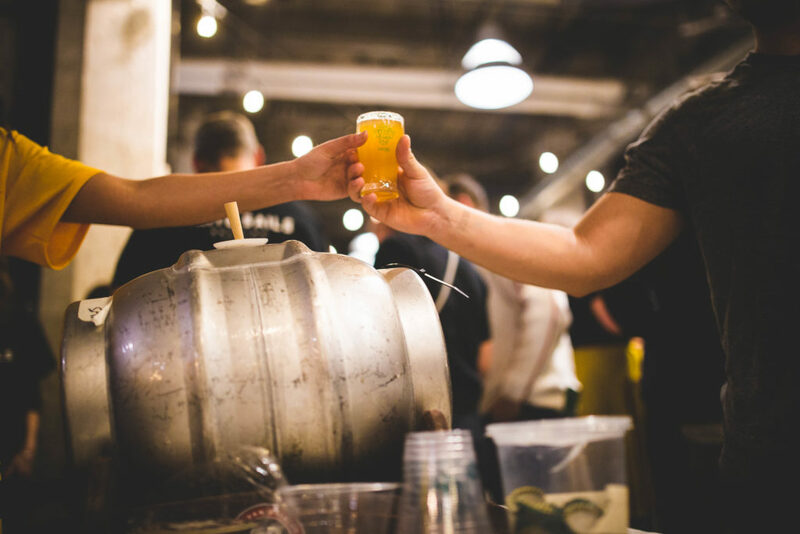 Each table will be hosted by a BC brewmaster, giving attendees the opportunity to socialise with some of the province’s best craft beer creators. After taking a break from brunch, those wanting to stay on the food-themed train can attend the Fishing For Beer event at the Victoria Public Market that runs from 7:30pm to 10:30pm. Seafood fans can sample fish and shellfish from local vendors or can opt in for a crab boil plate to complete the seafood smorgasbord. A variety of craft beers will be available throughout the evening as well. Swans’ Brewmaster Chris Lukie leads the class at last year’s Beer School. Sunday is full of learning (and drinking) opportunities for worshippers of Ninkasi, the goddess of beer. Swans Brewpub will be hosting two classes (the first from 11:00am to 1:00pm, the second from 2:00pm to 4:00pm) to teach attendees some beer basics. The first class will be run by Chris Lukie, head brewer at Swans, and will allow participants to get an introduction to how beer gets made within the historic brewhouse (complete with tasters!). 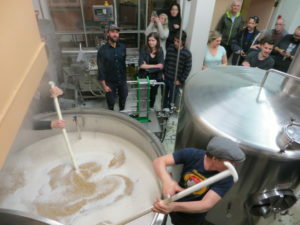 Swans’ second class will be a sensory experience run by Danny Seeton, production manager and research & development brewer at Vancouver Island Brewing. This class allows attendees to get a crash course in basic sensory theory to understand how various flavours within beer interact (and why some of those interactions are offensive to tastebuds). Tickets for the two classes can be purchased separately or combined for the full Beer School course. For those looking to get a little more serious about their own brewing pursuits, Michael Kuzyk at Category 12 Brewing has just the solution. Between 11:00am and 5:00pm on Sunday, attendees of his homebrewing workshop will be able to learn how to make their own beer at home from the homebrewer-turned-brewmaster himself! Beer and pizza are naturals together, aren’t they? Monday offers a few more opportunities to eat, drink, and be merry! Pizzeria Prima Strada will be hosting two seatings for Beer, Pizza, and Gelato, an event that will feature four servings of the locally loved thin-crust wood-fired Neapolitan pizza, perfectly paired with craft beer samples. This year’s edition of this popular event also features a dessert course of Prima Strada’s housemade gelato and a complementary craft beer. The Ultimate Craft Beer Quiz will also be held on Monday night at Northern Quarter downtown. This event features VBW’s very own Thirsty Writer and craft beer triviamaster, Joe Wiebe, and gives attendees the opportunity to prove they know their craft beer better. Taco Tuesday is all about pairing delicious tacos and craft beer. The Victoria Public Market will be hosting Taco Tuesday this year from 7:30pm to 10:00pm. 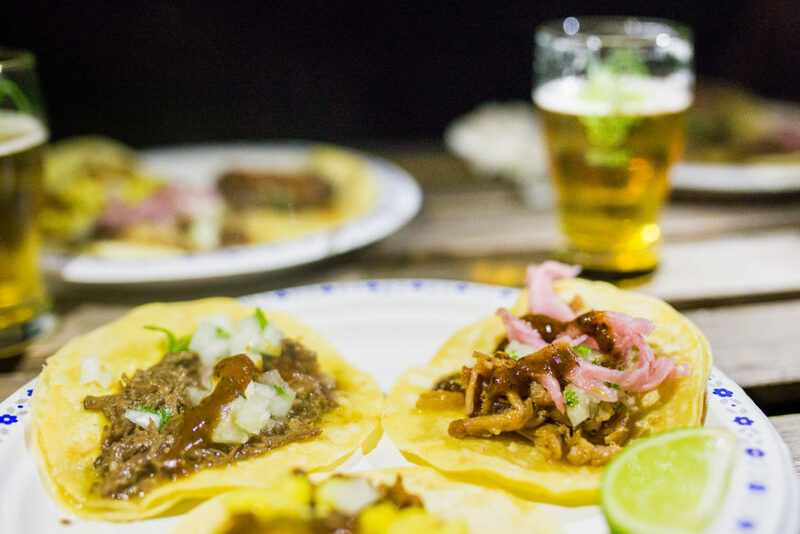 Some of Victoria’s greatest taco vendors will be present, giving taco lovers the opportunity to compare and contrast local interpretations of the famed Mexican dish. Of course, the craft beer will be flowing as well. Wine and cheese is a classic combination, but Wednesday’s event will not be featuring any wine. Instead, the Beer, Cheese, and More Beer event hosted at the Victoria Public Market will offer two sessions focused on cheese and beer pairings. The first session runs from 7:00pm until 8:30pm, with the second session running from 9:00pm to 10:30pm — perfect for some late-night dairy-induced dreams! If a beer is poured in the forest, wood you hear it? Beer geeks would. And Thursday’s event, All About the Wood, is dedicated to adventurous beer lovers. 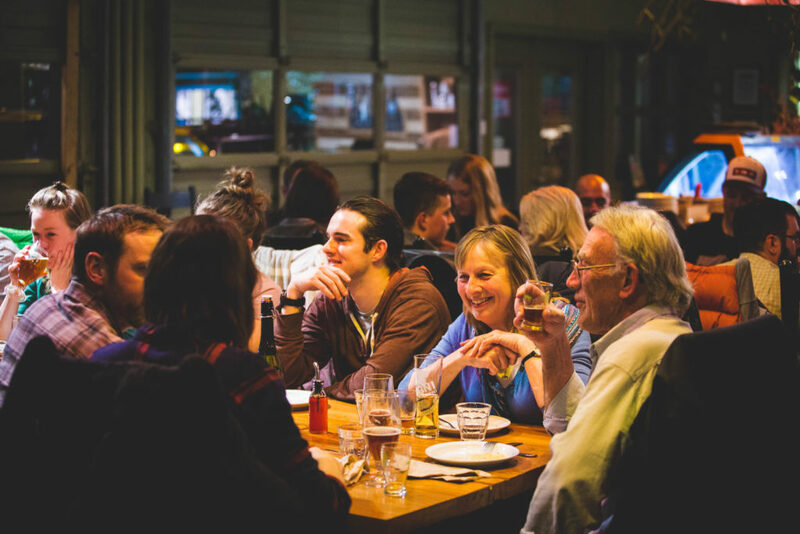 This specialised event runs from 7:30pm to 10:30pm at the Victoria Public Market and will feature a wide range of beer styles that are aged in wood barrels. Sours, Bretts, barley wines, imperial stouts and more will be sampled, alongside special dishes made by the Market’s food vendors. Cask-conditioned beer is on the menu at Friday Night Casks. The second Friday night of VBW will feature more than 25 unique cask-conditioned beers to try, with food from vendors at the Victoria Public Market being served as well. From 7:30pm to 11:00pm, attendees will be able to taste some of the more creative beers brewed by some of BC’s amazing breweries. The second Saturday of the 9-day party will be especially special! The first half of the day (from 1:00pm to 5:00pm) will take attendees on a beer run out to Sooke where they can visit three craft breweries and soak in the community’s growing craft beer presence. 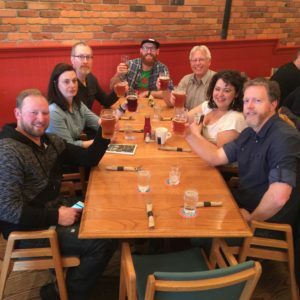 West Coast Brewery Tours will be hosting the trip, complete with shuttle-bus transportation from downtown Victoria to each brewery and (of course) samples from Sooke Oceanside Brewery, Sooke Brewing, and Bad Dog Brewing. 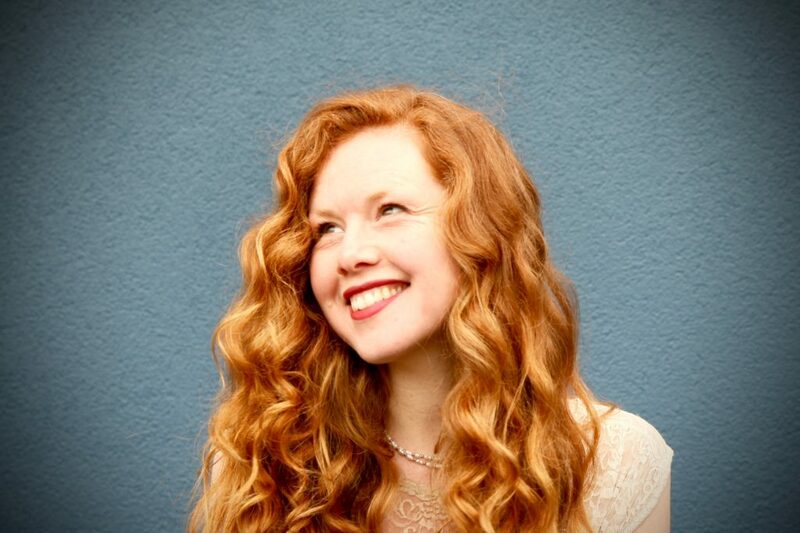 The Susannah Adams Trio will perform at Hoppy Birthday. As a fitting end to Victoria Beer Week in its fifth instalment, the Victoria Public Market is hosting the hoppiest birthday party around. From 8:00pm to 11:00pm on Saturday, March 10th, attendees will have the chance to get decked out in their fun-formal attire to celebrate in style. The Susannah Adams Trio will be performing live, and the event will include craft beer, gourmet snacks, and a chance to bust out that old princess prom dress or patterned tux that you’ve been dying to find another occasion for. Dress code will be in effect and attendees are encouraged to forgo a birthday gift and, instead, consider donating to the VBW scholarship fund to help send an Islander to the Brewing and Brewery Operations Program at Kwantlen Polytechnic University. And that about does it for what’s in store for the fifth anniversary of Victoria Beer Week. Tickets for the various events can be purchased through Ticket Rocket and more information about the events can be found through the Victoria Beer Week website. Cheers to all of the amazing craft beer breweries, the local venues and vendors, the VBW production team and volunteers, and all of the attendees that make this annual event a great success. And here’s to the next five years!